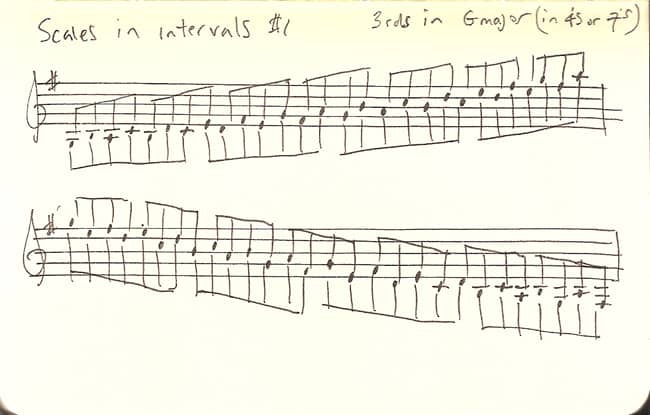 Here’s the G major scale in thirds. The groups of 7 repeat every other one. The first note of each group of 4 outlines a G∆13 arpeggio.